If you’ve been putting off installing new window well liners, autumn is the perfect time to take care of this task. Window well liners can dramatically improve a home’s interior, especially if the window it faces is in a high-traffic area. One of the best perks of liners is that they’re easy, fast and affordable to replace. You can swap out liners based on seasons, going with a warm or neutral hue that perfectly complements autumn. Plus, it’s that time of year when yard debris is at a peak and liners can help make cleanup a breeze — especially if you’ve opted for a barred cover instead of a solid, clear one. Choosing the best window well liner for you really depends on your style and preferences. Selecting a reputable window well company means each and every liner in their inventory is durable and built to last through several seasons. It’s more about aesthetics, not quality, but that can be a challenge for some homeowners. 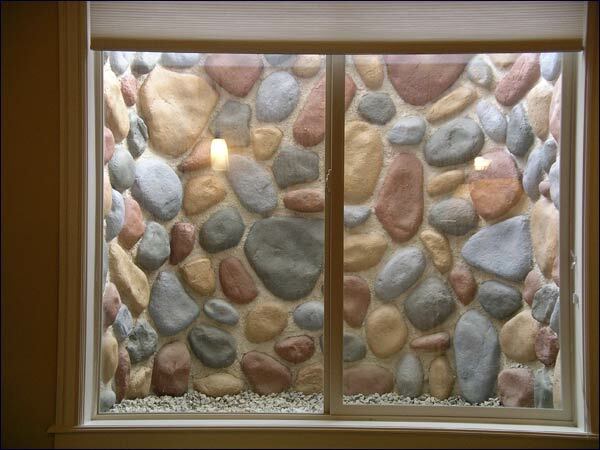 If your window well faces into a busy room in the house, which colors and patterns are best? Do you want to reflect light or draw attention away from the window? A light liner with a slight sheen will reflect natural light directly into your home. This leads to better ambiance, less dependency on artificial light and even an added dose of vitamin D. Many homeowners want as much natural light as possible, and the right window well liner can mimic the effects of a skylight. However, lots of light is not for everyone. Window wells often lead to basements, which in many homes double as a mother-in-law suite or bedroom. Bright light in these rooms, where people sleep, is often discouraged. For anyone who’s a light sleeper or fan of blackout shades, you may want to choose a darker liner to cut back on reflected sunlight. Clear covers, which can be custom painted to darken window wells, might be helpful for some. Do You Really Need an Upgrade? The shelf life of a window well liner can vary drastically. It depends on the region, recent weather patterns and storms, quality of the product and of course the quality of the installation. Having a clear cover can protect the window well liner much better than a grated cover. Also, any incidents (such as an animal falling into an uncovered window well) can cause extensive damage to the liner. Take a close look at your liner, via the window for added safety, and look for any tears, rips or excessive staining (which may actually be mold growing). If a window well liner looks dingy and old, it probably is. Fortunately, liners are budget-friendly to replace, and this work can be completed by professionals in under a day. Consider it autumn cleaning to make sure your home is in tip-top shape for the holidays. Call Windowell Expressions and take advantage of an impressive inventory of window well liners and covers to suit every style, home and season. This entry was posted in Blog and tagged Seasonal Window Wells, Window Well Clear Covers, Window Well Covers, Window Well Custom Grates, Window Well Foundation Liners, Window Well Liners, Window Well Standard Grates on August 18, 2015 by admin. How Strong Are your Window Well Covers? The primary reasons homeowners invest in window well covers are increased protection and safety. Invading animals must be blocked out of warm, dark spaces or else they may begin to nest and make their homes where you don’t want them. These products also prevent children, adults and pets from tumbling into wells, potentially causing serious injuries. To both stop intruding creatures and maximize safety, homeowners must purchase strong window well covers. However, the product’s strength must be balanced with the other benefits each material option offers. Following is a comparison among multiple window well cover materials to help you make the best purchasing decision. No material rivals steel in terms of strength when it comes to protecting open window wells. Steel does not bend or break, even under the heaviest weights, but this benefit comes at a cost. Steel window well covers do not let in as much natural light as other materials and they also are not as effective at blocking precipitation and moisture from entering the well. Plastic products are the least expensive cover options on the market. Thin, rigid plastic lets in natural light, but it will not withstand any sudden incursion of weight. When plastic meets its resistance limit, it snaps without warning. If the plastic gives way when a small child is on top of it, the child may be injured not only from the fall but from the resulting broken plastic shards. Products composed of Lexan polycarbonate are by far the most popular and widely used material for window well covers. This material is UV treated and designed to resist extreme temperatures. Polycarbonate products usually include a 10-year guarantee, giving homeowners confidence in their investment. While it may not hold quite as much as steel, it protects against weights up to 250 pounds and provides the moisture resistance and light filtration homeowners value. Lexan is also used in the production of reusable water bottles, race car windshields, sports helmet visors, and Apple computer products. When Lexan polycarbonate suffers a sudden impact, it quickly returns to its original formation with no dents left behind. The support system is constructed of aluminum, a rust-resistant, lightweight but sturdy base for this strong cover. Call Windowell Expressions to make an appointment for a specialized window well cover fitting at your property. Select one of the Lexan polycarbonate window well covers offered by their team and enjoy the benefits of a highly protective, secure and strong product for your home. This entry was posted in Blog and tagged Window Well Clear Covers, Window Well Cover Strength, Window Well Covers, Window Well Custom Grates, Window Well Foundation Liners, Window Well Liners, Window Well Standard Grates on August 11, 2015 by admin. 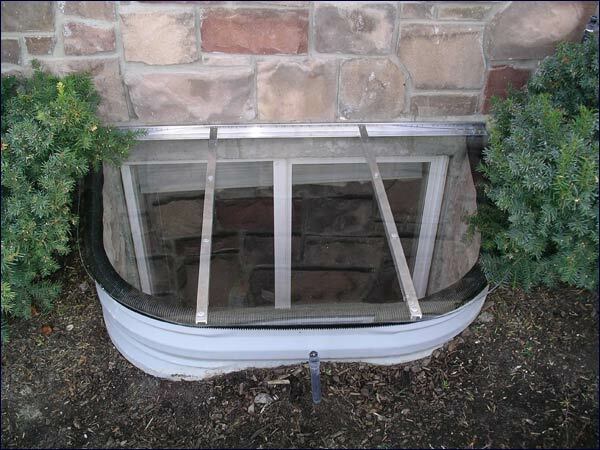 A flooding window well can spell disaster for a homeowner. Basement water damage can ruin appliances, major home systems and wreck finishing work, resulting in thousands of dollars in damage. What should homeowners do when they find water leaking through their lower level window well? The first step to repairing the leak is to empty all water from the basement. Depending on the severity of the damage, homeowners may be able to use a wet/dry vacuum. 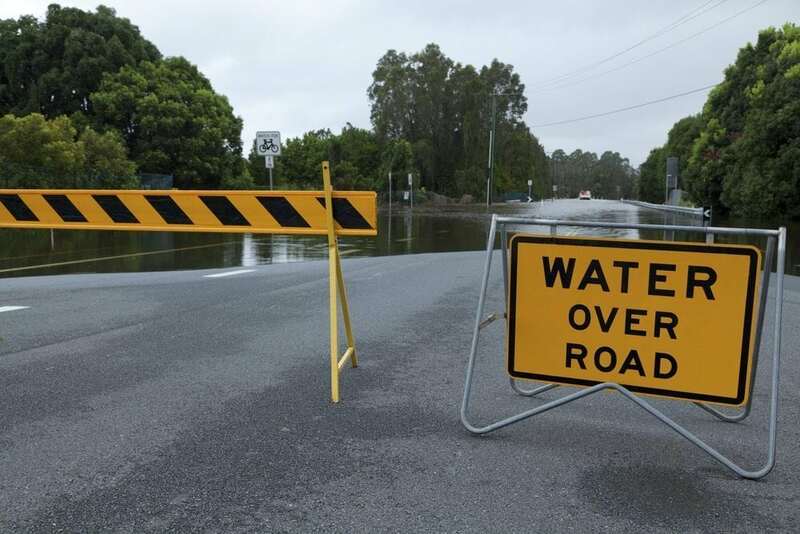 If the water level is high, consider calling a professional water damage repair company. They can use heavy-duty equipment to quickly remove and restore the interior before mold sets in. Once all water is removed on the inside, move to the exterior of the home. Empty the pooled water inside the well. Underneath the water, a sludge of gravel and dirt may have formed, blocking the draining system. Dig this out until the drain cover is exposed so you can begin diagnosing how the flood originated. Besides mud, it’s possible that leaves, sticks and other debris may have clogged the window well’s drainage system and contributed to the backup. Perhaps the installation was completed incorrectly and you have no drainpipe to carry away the water. When window wells are installed correctly, a hole is dug and a drainpipe placed at the base of the well. The pipe leads away from the home’s foundation, exiting out of a landscape slope or connecting to a gutter drain. The drain can also lead inside the basement, connecting to a sump pump system for proper water drainage. The primary way to prevent a drain clog is to keep the inside of the window well clear. Covers prevent leaves and dirt from clogging the drain pathway and keep small animals from nesting within. While covers also contribute to the aesthetics of the home, they are an important protective feature. Even with a proper drainage system installed and a cover in place, window wells require routine maintenance to ensure no further water damage affects the window and the basement interior. Every three to four months, check the drainpipe for blockages and make sure the cover fits snugly and securely on the liner. Contact Windowell Expressions for more information on the proper installation of window wells and what repairs are necessary for homeowners facing a flooding window well. This entry was posted in Blog and tagged Window Well Clear Covers, Window Well Covers, Window Well Custom Grates, Window Well Flooding, Window Well Foundation Liners, Window Well Liners, Window Well Problems, Window Well Standard Grates on August 5, 2015 by admin.